A week or so ago, I got in some really beautiful fabric that I’m really excited to get to use in a quilt. However, I’m not using any of that fabric in this sampler. Let me tell you why. The logical side of my brain jumped into to full gear at this point. I decided that since my concerns were around not having very much experience with sewing/cutting fabric for quilt blocks, that I would take a step back and do a sample quilt out of whatever fabric I had on hand that didn’t frighten me to cut into. 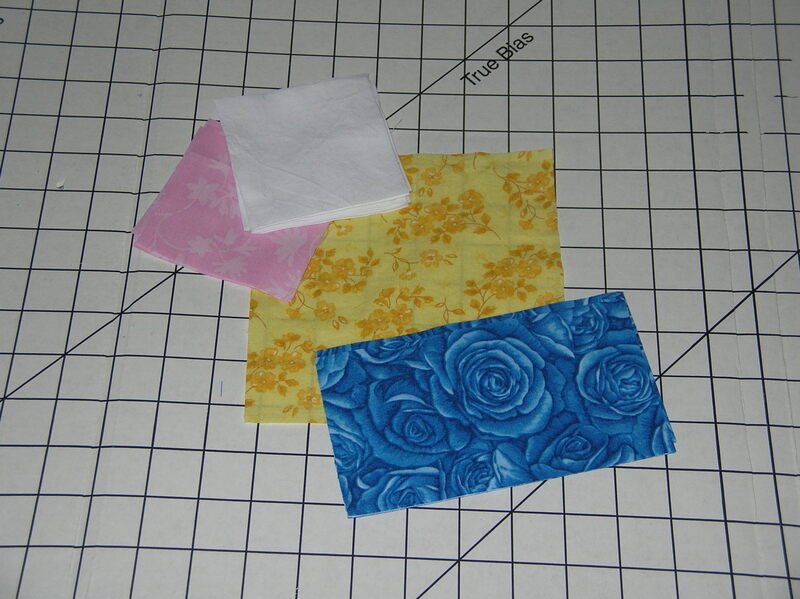 The fabrics that I ended up pulling out my stash are blue, pink, yellow, and white, very spring-like. Therefore, since this sampler was born out of my chickening out of my last project and the colors are spring-y, I’ve decided to call this the Spring Chicken Sampler. My selection of colors for the sampler. Very spring-like, don’t you think? The first four blocks are going to be 12″ blocks: King’s Crown, Dutchman’s Puzzle, Lemoyne’s Star/Hunter’s Star, and a version of a nine patch block which the author calls Rosebud. 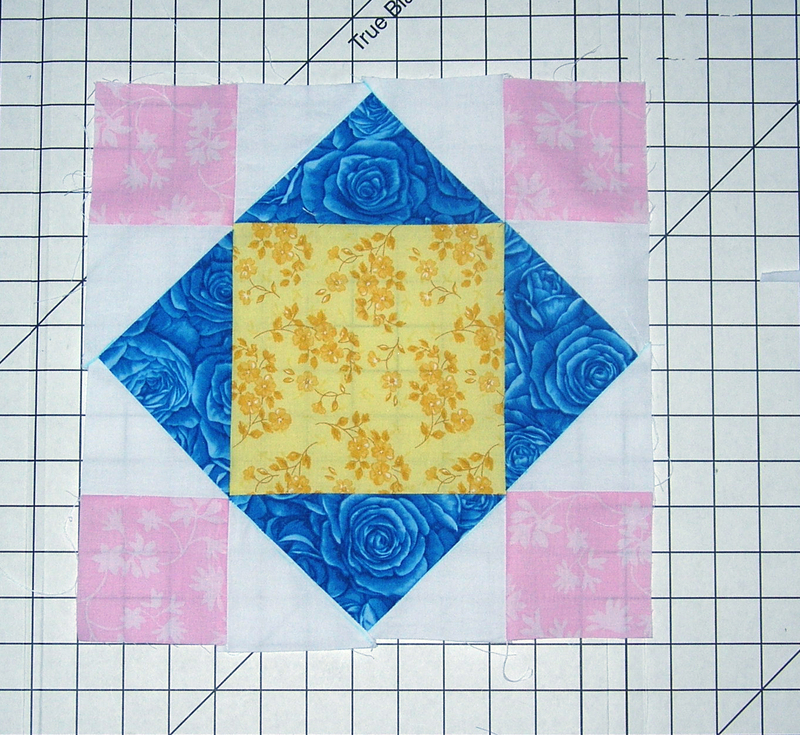 Depending on the amount of fabric left, I may add a few smaller blocks or borders. I’m not sure how much of the yellow fabric I’ll have left; we’ll see! Here’s the first finished block, the King’s Crown. I was inspired by a free pattern on About.com’s site, but it was only an 8″ square. I found a 12″ pattern here. Without further ado, here’s my completed King’s Crown block. This is going to be very pretty! I like the color combination….so springy!